Let’s start off this week with something different! Today, we are glad to present to you WebSitePulse affiliate program. Like most good services on the internet, we would like to give our trusted followers a way to further benefit from our services. 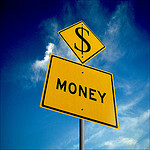 Now you can earn a pretty penny on a monthly basis. If you are already familiar with our flagship products this would be a walk in the park for you to implement. To get things rolling you simply need to fill our online form. Once you submit it, you will hear back from us within 48 hours. Wee have been tracking the performance of online retailers around Mother’s day for the past 5 years. Being a day to celebrate mothers and motherhood, it is also a week of trials and perils for online retailers. High demand for flowers and gifts is exceedingly high one week prior to Mother’s Day and can cause many website to function outside of their parameters. Each year, our goal is to measure the performance and availability of selected retailers by executing full online shopping customer transactions, thus simulating the user experience. This year was particularly interesting because of the significantly higher online demand for service and products. Notice the spike in 2012. Search for mother’s day gifts are through the roof. We bring you attention to this fact so that you could take into account the higher overall demand, when looking at the results. China has a long-running practice of censoring and restricting access to foreign services, and cloud storage is no exception. Google Drive is the last service to hit the Golden Shield. It is hard to believe that Google will find solace in the fact that most of the popular cloud storage services are also restricted in China. 500 million active internet users are off limits while cloud storage is on the rise. There are already quite a lot of great service providers out there. The number of services suggests that there is a rising demand. 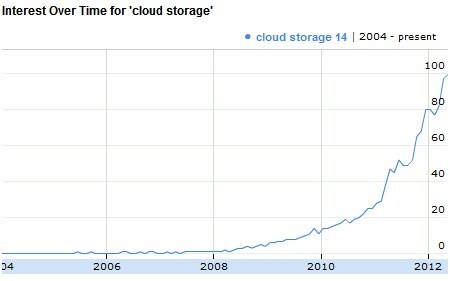 Cloud storage for the masses is still a new and exciting thing. What is the main purpose of a name server? It stores the DNS records for a given domain name and translates (resolves) domain names and hostnames into their corresponding IP addresses. But what if you want to make sure that the domain name you have chosen for your website points to the correct IP? It is all very simple, run a simple and free hostname test. Within just three clicks you can check whether any given domain name is directed to its appropriate IP. If you want to see this test in action, check out the video below or try it out for yourself in our test tools section. The traceroute test is one of the most powerful tools you can ever use. In short, it shows the route and transit times of ICMP packets across a network from one destination to another. It can be used to get information about the network infrastructure and IP ranges around a given host or it can help you identify firewalls that may be blocking ICMP traffic. In case of connection issues this is the tool with which you can pinpoint exactly where the problems occur. To see this test in action, check out the video below.